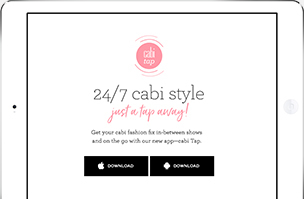 and on the go with our new app—cabi Tap. *Compatible with most Apple devices, select Android devices, and the Kindle Fire HD. **Compatible with most Apple devices and select Android devices. 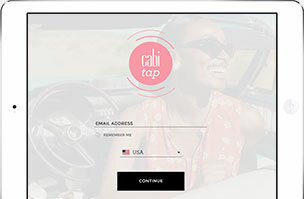 Introducing our new App-Cabi Tap! Cabi Tap is the style companion you can't live without. Press play to get a glimpse of our new mobile app. Getting the app is easy as 1-2-3!